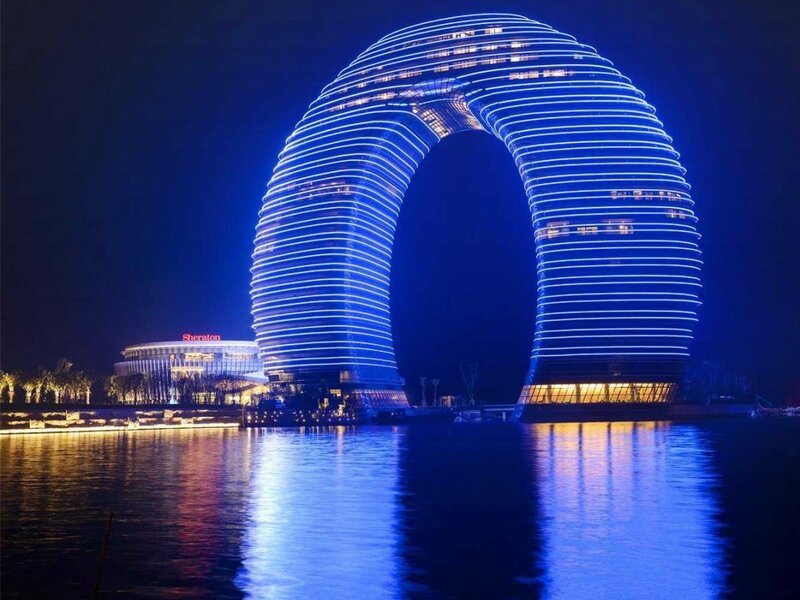 The first building that demonstrates a futuristic design concept is the Sheraton Huzhou Hot Spring Resort, designed by MAD. This four and a half star hotel resort is a magnificent spectacle, that stands 27 storeys high. Horseshoe shaped, it houses 321 rooms – each with open views of the water. The design encompasses an LED skin coating that covers the glass exterior of the building, illuminating and projecting colours onto the Lake Taihu. Continuing with the theme of innovative designs, the next piece of architecture offers a unique take on a conventional office space. 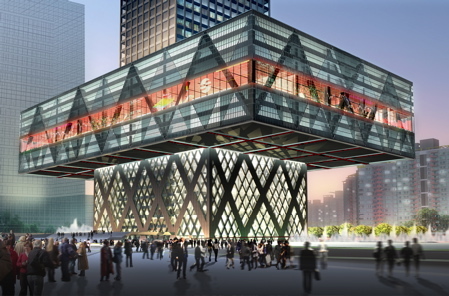 The Shenzhen Stock Exchange differs from usual architecture due to its levitating podium. The raised podium is one of the largest office floor plates in the world, with a surface area of 15,000 m2. Normally the base of a building is typically anchored amidst the groundscape, however this competition winning design, by Office for Metropolitan Architecture, defies gravity with its floating office floor that sits 36m above the ground. 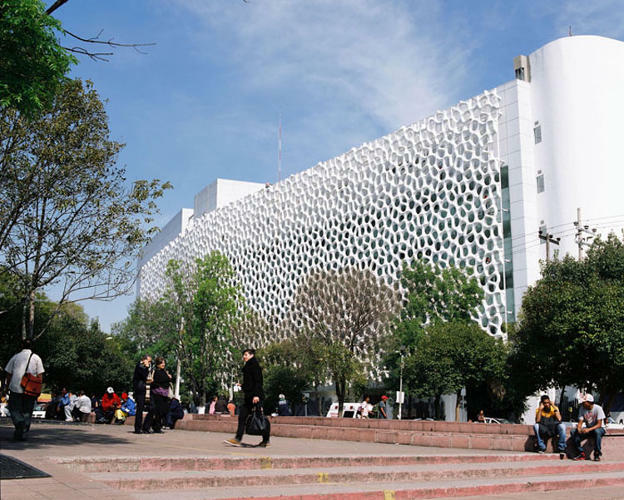 Finally, The Torre de Especialidadesis, a Mexican Hospital, designed by Berlin-based design firm Elegant Embellishments, can be classified as the next-generation of living green. Plenty of eco-friendly­­ buildings help cut down on pollution with design features that attribute to the reduction of energy usage. However, leading the way in radical energy efficient constructions the Torre de Especialidadesis, which from Prosolve370e, (a specially shaped building material coated with neutralising properties) effectively reduces the amount of pollution in the air.